Creative movement provides children with healthy and fun exercises which build strength and flexibility. Engaging children and encouraging them to build healthy young bodies in the age of computers is not always easy, but the natural affinity of children towards music is a powerful tool in the arsenal of the teacher. Dance strengthens the core muscles and correctly aligns and supports the symmetry of the skeleton, thereby encouraging good balance and posture.The developing skeleton and muscle structure of young children can be likened to training the green wood of a sapling. Given the right support and encouragement the tree grows straight and strong, while incorrectly done it can cause damage. 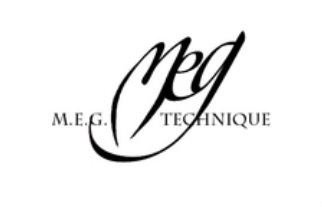 The M.E.G. 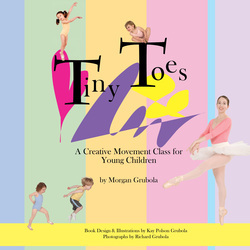 technique prepares children for the future rigors of ballet by focusing the attention on what is developmentally appropriate. Young children of 2 and 3 should not be standing at the barre or being forced into turning out their feet and legs, which can lead to possible future dire consequences. Rather, time should be spent building muscle and flexibility, developing rhythm and coordination, and discovering the joys of movement. Dance is a performance art and the interpretation of thought and feeling into movement is what makes it magic! Although good technique is critical in a dancer, artistry and expression should not be sacrificed. Stage presence and acting ability are virtues we all recognize when we see it, but it is one that has often been sadly ignored in the classroom.Just as important though are the natural expressive qualities in children which should be nurtured and encouraged. Providing children with expressive outlets helps them explore their own feelings and develop appropriate ways to show emotion. This awakening awareness of the world and people around them is characteristic of young children, and the perfect time to help build recognition skills. Learning to read facial expressions and body language in others is critical to developing communication skills and in building personal relationships. Finally, expression is the flowering of imagination. Every learning experience begins as a reaction to some stimulus that the child encounters, a curiosity about the world around them and the eagerness to interpret what they see, hear, and feel. To approach the world fearlessly, with an open mind and a receptive spirit, is the greatest gift that can be given a child. Cognitive growth in young children is inexorably linked to growth in physical coordination and health. Active bodies and imaginations strengthen brain activity. Most parents know that a baby’s ability to crawl has been linked to reading skills later in development. The first few years of life are critical in brain synapse growth and stimulating every sense (physical, emotional, and cognitive) is important in that development. My teaching method is developmentally correct and uses best practices as described by the National Association for the Education of Young Children (NAEYC). Most children will not be able to do all of the M.E.G. technique exercises immediately, but over time you will see physical changes in the children. The stories linked to the exercises have been created to engage the children sufficiently so that they will enjoy the repetition as their muscles, bones, and coordination continue to grow. Look at the stories as guides and let them evolve with your individual child or group. In addition, children learn appropriate personal interaction dancing together. Taking turns while demonstrating, appreciation of one-another’s performance, and the civility of the traditions of ballet are all important lessons. Linking imagination, personal discovery, and healthy physical challenges build the whole child.